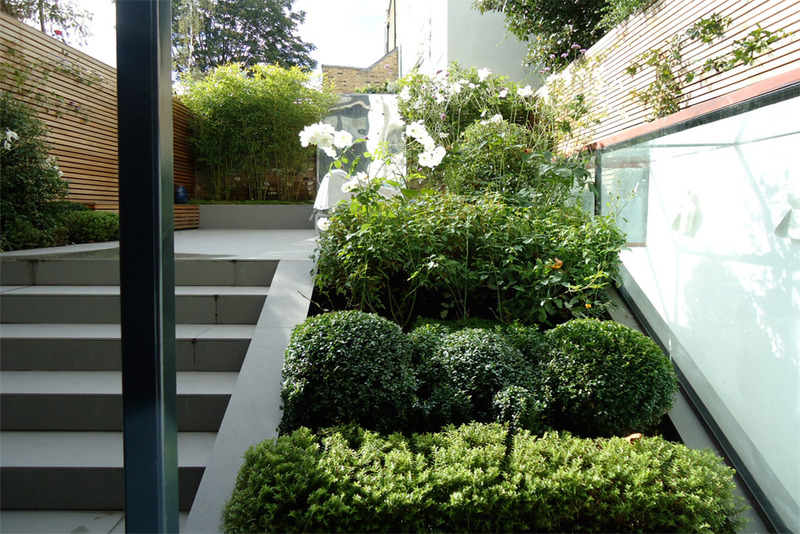 The garden is viewed from two different angles: the basement below the garden as well as the ground floor, above. 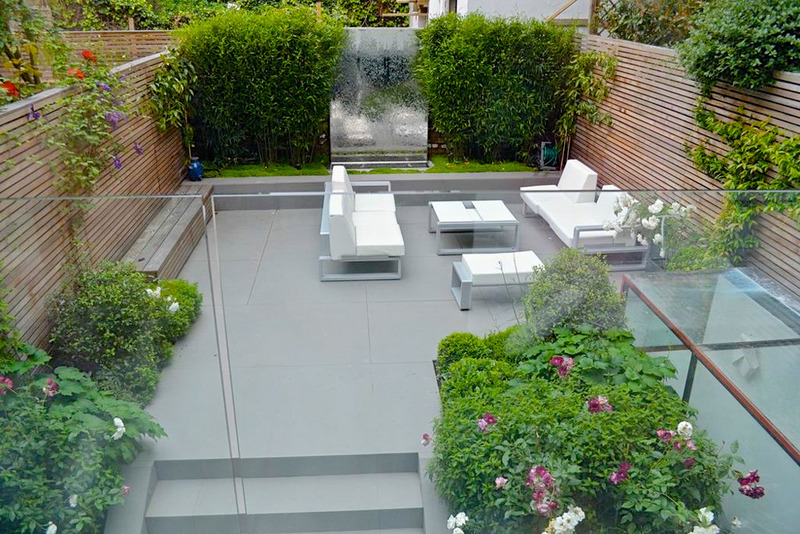 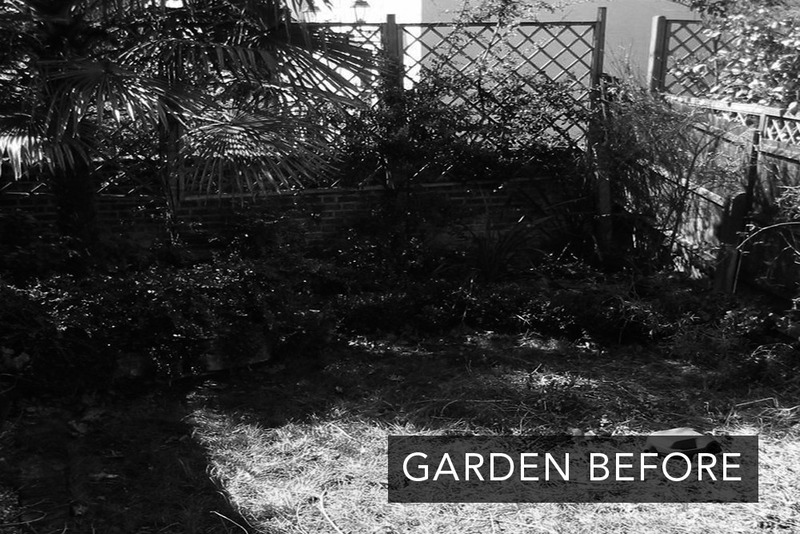 Both of these aspects were important to consider during the renovation of the garden as the house openings to the garden are made of extra large glass pannels. 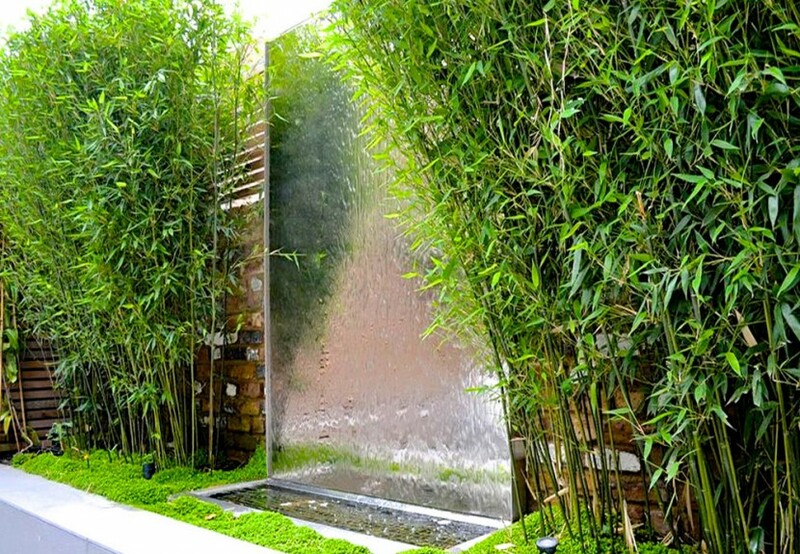 A water wall stands along the back wall acting as a focal point. 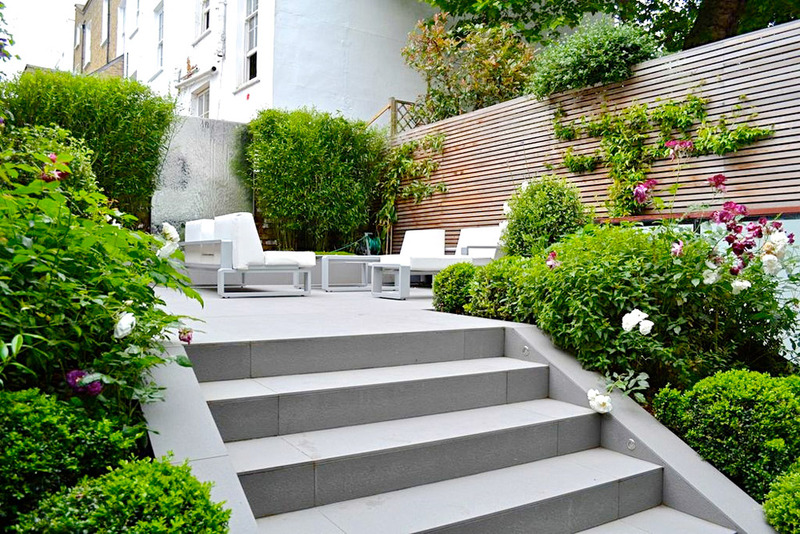 Large contemporary grey slabs match the tiling inside of the house. 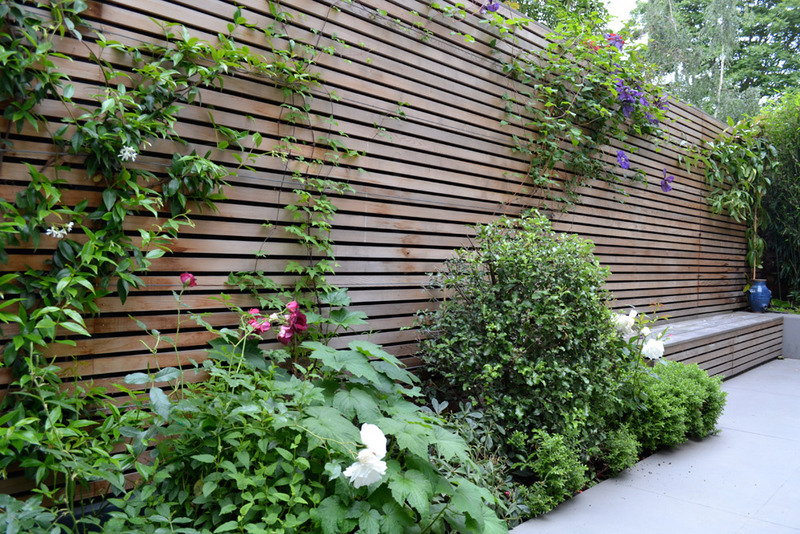 Red cedar trellises warmly enclose the space. 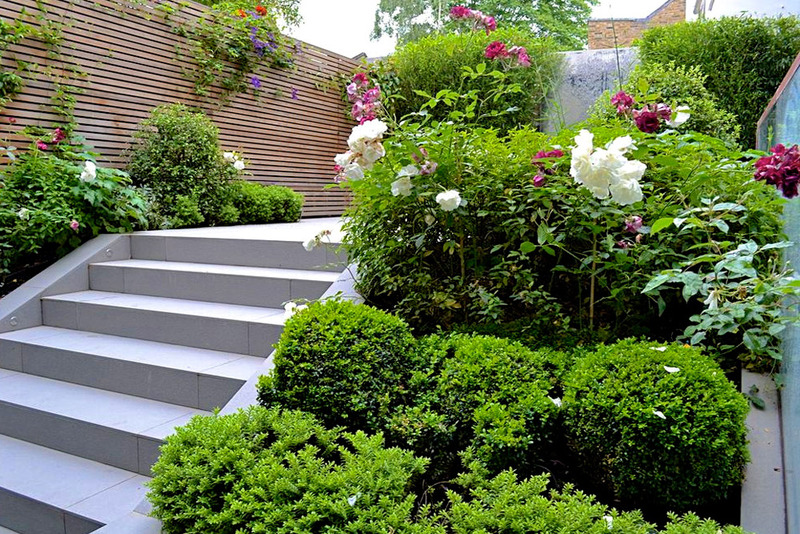 Lush planting of evergreen shrubs, dark pink, white and purple flowers and climber fill this contemporary garden subtly lit at night.